AudioActive has teamed up with Vincent Dance Theatre to help create Shut Down, the company’s first production with an all-male cast, exploring what Artistic Director and choreographer Charlotte Vincent describes as the “crisis in the way society perceives men”. These lyrics and other rap and spoken word content feature strongly in a highly charged performance from six male performers aged 14-36. 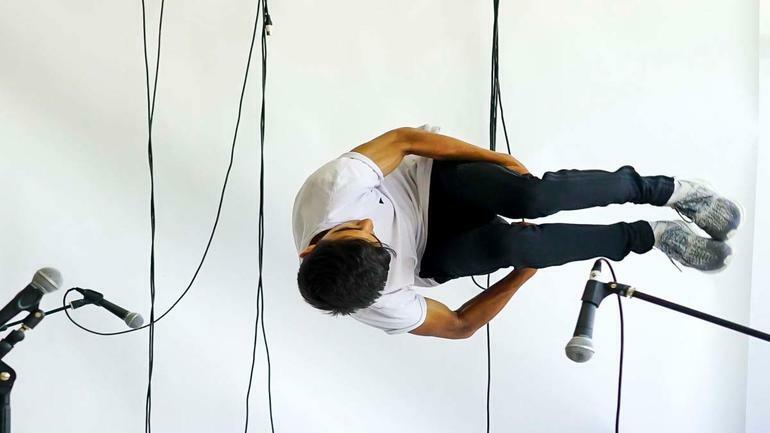 Combining physical theatre with hip hop elements, including breaking, lofting and glitching, Shut Down explores life as a man today.